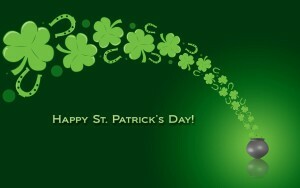 Wishing everyone a Happy St. Patrick's Day today! Check the calendar for your commitments--we have alot going on the next few weeks and April is going to be BUSY! Kids Against Hunger will be March 28 at First Methodist -Belton and this is a great event to bring guest and your kids. I love seeing everyone in the aprons and hair nets---packing food for a great cause but having fun with wonderful fellowship is a plus. Then we are into April and we have the Taste of the Holiday-Kickoff, cooking lunch and playing Bingo at the Sr Center, getting the handbags ready for Mother's Day FIC project, Pre-Prom and DISTRICT CONFERENCE. Rest up, it is going to be a very busy month, but so much fun to serve with this great group of folks. Don't forget, we are still reading at the Center Texas Children's Center --- reach out to Debbie Gorden if you need information on this project. There are many places to serve, so please join us at any or all events/projects in the coming weeks. Also send your nomination and info form to Janna Janes for the 'Altrusan of the Year'----we want to honor one special Altrusan in April, this is always a wonderful meeting.